During 2017 the South African truck market declined by 2.65% on the previous year’s results to 25 042 new unit sold. 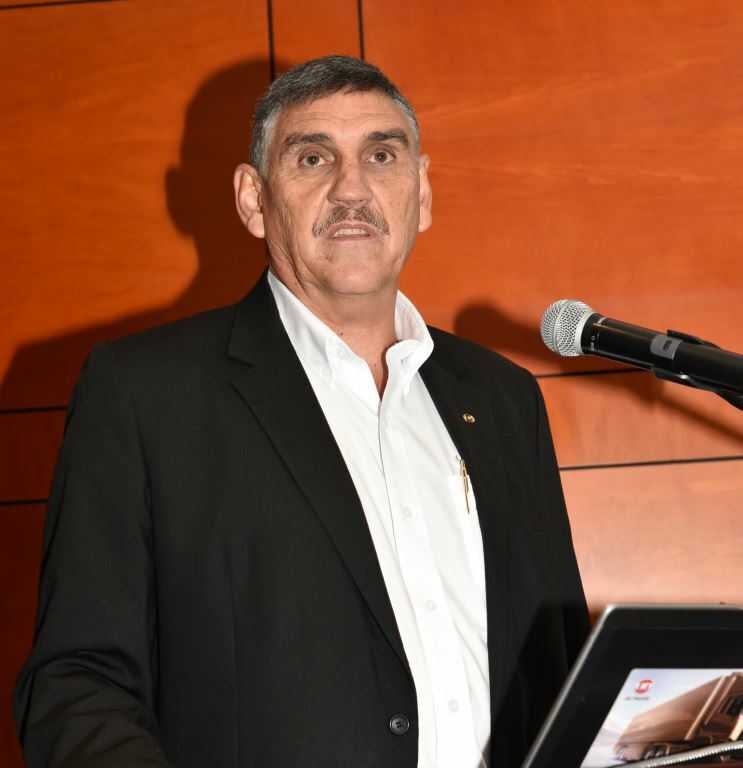 There is, however, some good news on the horizon with Gert Swanepoel, managing director of UD Trucks Southern Africa, forecasting a slight 1.5% growth in sales during the year to come for a total truck market of an estimated 25 418 new units. 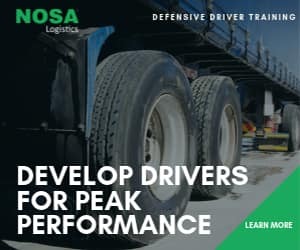 According to the latest results released by the National Association of Automobile Manufacturers of South Africa (Naamsa), Associated Motor Holdings (AMH) and Amalgamated Automobile Distributors (AAD), the Extra Heavy Commercial Vehicle segment recorded the only increase in sales year-on-year, by only 0.96%, concluding 2017 on 11 967 units. Sales in the Heavy Commercial Vehicle segment were down by 4.76% to 5 290 units, while a 6.37% decline in sales was recorded in the Medium Commercial Vehicle segment, to a final figure of 7 785 units at the end of 2017. 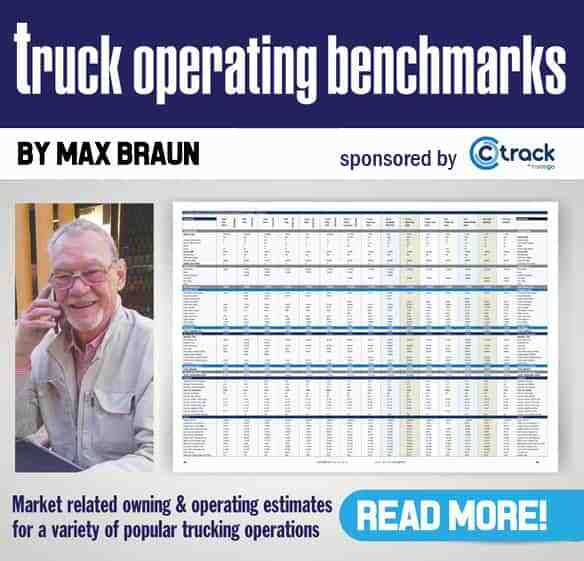 According to Swanepoel, the lack of growth in the local economy has continued to negatively impact the local truck market. “With recent political changes in mind, we are hopeful that business confidence will return to more positive levels, which will certainly encourage businesses to invest in their fleets,” he says. He points to one of the good signs for the truck industry as being that Gross Fixed Capital Formation – or the rate at which businesses add fixed assets such as plant, machinery and equipment to their inventories – saw an upturn to 4.3% during the third quarter of 2017, with 37% attributed to the acquisition of new transport equipment. Looking at truck sales from South Africa to other countries, total export sales from South Africa declined 5.54% to 946 units when compared to 2016’s results. In the Heavy Commercial Vehicle segment, there was a significant increase of 25.58% in sales to 162 units. However, Extra Heavies declined by 0.59% to 669 units, while Medium Commercials took a heavy knock of 41.92% to sell only 115 units. “We are expecting sales in the export countries to increase during 2018, forecasting growth across all segments for a total sales estimate of around 990 units,” says Swanepoel. To gain even more traction in the Eastern African markets, UD Trucks has secured a new partner in Kenya to establish a CKD (Completely Knocked Down) assembly facility, which will include the production of UD Trucks units. “Due to local Kenyan regulations, a CKD plant is key to any success in that market. We already have a product plan in place and believe that UD Trucks’ line-up will be ideally suited to local road and operating conditions,” he says. But while truck sales were not anything to write home about during 2017, UD Trucks was not idle during 2017 having invested R30-million in the modernisation of its Rosslyn assembly plant to mirror the company’s Ageo plant in Japan. Further investments will continue in 2018. “A lot of emphasis was placed on real estate, tooling and equipment as well as acquiring new jigs, fixtures and implementing a new material supply system,” says Aubrey Rambau, director of manufacturing at the UD Trucks Assembly Plant in Rosslyn. Last year, UD Trucks Southern Africa also trained 1 247 dealer and customer staff at its Competence Development Centre in Rosslyn, including 92 diesel mechanic apprentices – a highly sought-after skill in the transport industry. During 2017, UD Trucks gained some ground in the Heavy Commercial Vehicle segment with the launch of its new Croner range in June 2017, claiming the second position in this portion of the market with a 19.53% share. 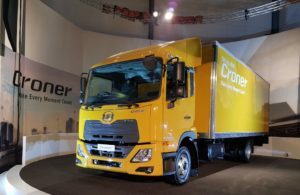 During 2017, UD Trucks gained some ground in the Heavy Commercial Vehicle segment with the launch of its new Croner range in June 2017, claiming the second position in this portion of the market with a 19.53% share. It was also the top performing Japanese manufacturer in the Extra Heavy Commercial Vehicle segment with a 9.24% market share. With 38 dealers in South Africa and 14 dealers and 21 service sites in 14 other markets across southern and eastern Africa, customers are assured of comprehensive support no matter where they operate in the region. Growth in the South African economy is dependent on a successful transport industry. That is why UD Trucks Southern Africa is passionate about solving the challenges customers are facing in the local transport industry. “In the year to come, UD Trucks Southern Africa will optimise its model line-up even further to address fleet owners’ specific business and operational requirements. Along with in-house financial solutions through UD Financial Services and modernised digital communication, UD Trucks is determined to provide the trucks and services the world needs today. This commitment has driven the company’s innovation for over 80 years worldwide, and for more than 55 years in southern Africa,” says Swanepoel. The company gained some extensive ground in the latest industry Customer Satisfaction Index, moving up from overall seventh position to the third spot in 2017. “We are committed to listening to our customers and importantly, the drivers of UD trucks across the region, and tackling issues together to create the most efficient transport solutions for all involved,” concludes Swanepoel.